Constructed by the Civilian Conservation Corps around 1933, just north of Linden, Virginia. 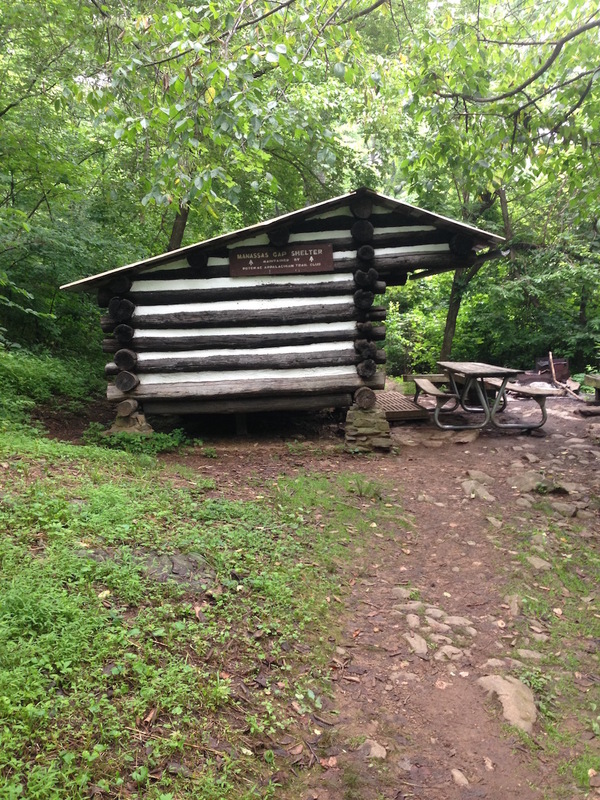 Like many of the shelters along the Trail, the Manassas Gap Shelter resided on private land for many decades. Built from chestnut logs, the shelter is a simple lean-to with three walls. Until the 1980s there were also bunks across the back of the structure, but these were removed in the 1980s during a restoration of the shelter brought on by a severe infestation of mice and field rats. A covered spring is just downslope from the shelter. Mills Kelly, “Manassas Gap Shelter,” Appalachian Trail Histories, accessed April 23, 2019, http://appalachiantrailhistory.org/items/show/49.